China bans initial coin offerings(ICO) sending bitcoin price tumbling as central bank rules them illegal. China on Monday banned and deemed illegal the practice of raising funds through launches of token-based digital currencies. The move was targeted at so-called initial coin offerings (ICO) in a market that has exploded since the start of the year. ICOs have become a bonanza for digital currency entrepreneurs, globally and in China, and have provided the fuel for a rapid ascent in the value of cryptocurrencies this year that has driven fears of a bubble that could burst. Individuals and organisations that have completed ICO fundraisings should make arrangements to return funds, said a joint statement from the People’s Bank of China (PBOC), the securities and banking regulators and other government departments that were posted on the central bank’s website. In total, $2.32 billion has been raised through ICOs, with $2.16 billion of that being raised since the start of 2017, according to cryptocurrency analysis website Cryptocompare. 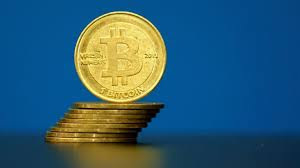 Bitcoin rival Ethereum, which token-issuers usually ask to be paid in and which has therefore seen unprecedented growth this year, fell sharply on the news, last trading down almost 20 percent on the day at $283, according to trade publication Coindesk. Bitcoin was also down 8 percent, while the total value of all cryptocurrencies was down around 10 percent, according to industry website Coinmarketcap.com. “The large price falls can be attributed to panic amongst traders and profit-taking,” said Cryptocompare founder Charles Hayter. The rapid ascent of ICOs prompted the US Securities and Exchange Commission (SEC) to warn in July that some ICOs should be regulated like other securities. Singapore and Canada followed with similar warnings. Zennon Kapron, director of the Shanghai-based financial technology consultancy Kapronasia, said he suspected regulators were putting the brakes on ICOs in order to better understand the phenomenon, but could ease off in the future. “Regulators globally are struggling to understand what ICOs are, what the risks are, and how to ring-fence and regulate them,” he said. By creating and issuing digital tokens, entrepreneurs can raise large sums quickly — sometimes hundreds of millions of dollars in minutes — with little or no regulatory oversight. But unlike traditional fundraising, token holders are generally not given any share in the particular project, nor any security. For the buyer, therefore, the main reason for buying these highly risky tokens is often simply a bet that their value will rise. Once the tokens have been issued they can be traded against other cryptocurrencies such as bitcoin, the first successful digital-only currency. The popularity of coin offerings has surged in China this year. In July, the state news agency Xinhua cited data from a government organisation that monitors online financial activity to report that there had been 65 ICOs so far during the year raising a combined CNY 2.62 billion ($394.6 million) from 105,000 individuals in the country. Oliver Bussman, previously chief innovation officer at UBS and now president of the Switzerland-based “Crypto Valley Association” that promotes blockchain-based technology, said Chinese authorities had to be especially vigilant about protecting consumers because of the lack of financial advice in the country, compared with Europe or North America. Reaction to the ban was swift online. “The music has stopped,” said one member of a chat group on the social networking platform WeChat that was set up last week for an upcoming ICO for a fundraising platform called SelfSell. “Hurry up and sell your bitcoin,” said another. The organiser of the ICO project, who recently went on a six-city roadshow, said the project had been suspended. But Bussman said that once there was some regulatory clarity, and once it had been worked out how to classify different types of ICO, the token-based fundraising would continue. “The initial coin offering is a new business model leveraging blockchain technology and it will remain,” he said.